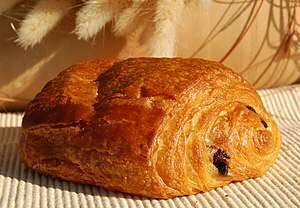 If you are what you eat, I’m a Chocolate Croissant! “You are what you eat.” If that is true, I am a Chocolate Croissant. I’ve felt righteously sorry for myself lately, it’s true! And have eaten badly as a result. I don’t exactly know why. And my foot is hurting and has been for about ten days. Everything I do makes it ache and sometimes it is much worse. Finally, I saw the doctor today. Her diagnosis “potentially” (waiting for blood work) is a form of arthritis. Yeah, the A-word at 44. If that’s not depressing enough, I called my mom afterward for our family history, because I didn’t know when she asked if this was in my history. It turns out that arthritis runs willy nilly through her family. She has it and it goes all the way back to Grandpa who was stooped over from arthritis by the time he died. Several cousins and both of her sisters. Even one of my sisters (younger than I am) has it in her lower back “prematurely for her age.” Yikes! You know all of this is arguably a part of aging, but I firmly believe even in your forties (or any time) you can resist entropy and apathy. Isn’t it true that we are so easily distracted from our goals? Oh well. That knowledge won’t help me now. But I am competitive and motivated by it, so when I read a challenge from a fellow blogger that seems doable, I determined that no matter my pains (and they are many) I have to keep moving and working on weight loss. Slowly but surely. 1. Set a weight loss (or gain, or maintenance) goal. 2. Commit to writing a food diary every day of the challenge. 3. Commit to a regular exercise program for every day of the challenge. Would you do this with me? Even if you are in the peak of shape (lucky you, if you are) exercise is so good for the body, mind and soul. If you decide to, be brave and let me know by “registering” for the challenge, write your goal and details of your exercise program in the comments section of today’s post. Then, for the duration of the challenge, write down for yourself your daily efforts, eating, etc. — If weight isn’t your issue, pick something else and commit to working on it between October 1st and November 1st. There are other goals you might aspire to, anything in the area of personal challenge. To write for 15 minutes every day. To read a certain book. To spend quality time with someone. Whatever it is, I think there is value in a community of people knowing your heart and in having what you do matter to others. Plus, I’m awful curious who my readers are. I know I have them, yes I know you are there because I have the stats. And occasionally people write me privately to say they “lurk” — totally cool. But if you’re feeling brave, tell “Us” a personal goal you have for the next month. walk six days a week. My foot is hurt/ing so I’m not sure what that will do to my walking but I can’t keep making excuses for pain, perhaps just no incline for now, which exacerbates it. find Yoga to practice three times a week to manage stress and sciatic/back issue. do PT stretches every other day. eat three meals a day focusing on natural (not processed) food. I will write everything down that I consume. My goal: 2 pounds a week for month of October. I think that is doable. What about you? Many thanks to the_next_hundred_pounds for her challenge and inspiration! Previous Post Do you ever wonder why we are here?